I am fascinated by how the use of particles can provide an observation window to the biomolecular world. Leo van IJzendoorn is an Associated Professor in Particle Based Biosensing and Biophysics in the research group Molecular Biosensing for Medical Diagnostics, a joint group of the TU/e departments of Applied Physics and Biomedical Engineering. His research focus is on the detection of biomolecules in complex environments and on the discovery of biomolecule properties. He investigates methods for point-of-care detection and for continuous monitoring of biomarkers, using magnetic as well as non-magnetic particles. Van IJzendoorn uses thermal particle motion and magnetic actuation combined with light scattering and optical microscopy for biomarker detection. His use of magnetic tweezers provides unique insights in the nanomechanical properties of individual biomolecules, in the interactions between biomolecules, and in the interactions between biofunctionalized particles and surfaces. Leo van IJzendoorn studied at Leiden University, The Netherlands, where he obtained a combined Bachelor's degree in chemistry and physics in 1979. He obtained both his Master's degree in physics (1981) and his PhD degree (1985) at the same university in the group Laboratory Astrophysics; in this interdisciplinary research group of Prof. Mayo Greenberg he worked under the guidance of Dr. Louis Allamandola and used laser induced fluorescence and molecular spectroscopy to study interstellar ices. After his PhD, he moved to Eindhoven and joined Philips Research to use ion beams for materials research. In 1991, Leo van IJzendoorn moved to Eindhoven University of Technology as an Assistant Professor in the group of Prof. Martien de Voigt. He focused on materials analysis with ion beams as well as positron emission profiling on catalysts using the cyclotron at TU/e, and became Associate Professor in 1997. After a short sabbatical at Philips Research in 2004, he founded (together with Prof. Menno Prins) the research group Molecular Biosensing for Medical Diagnostics. 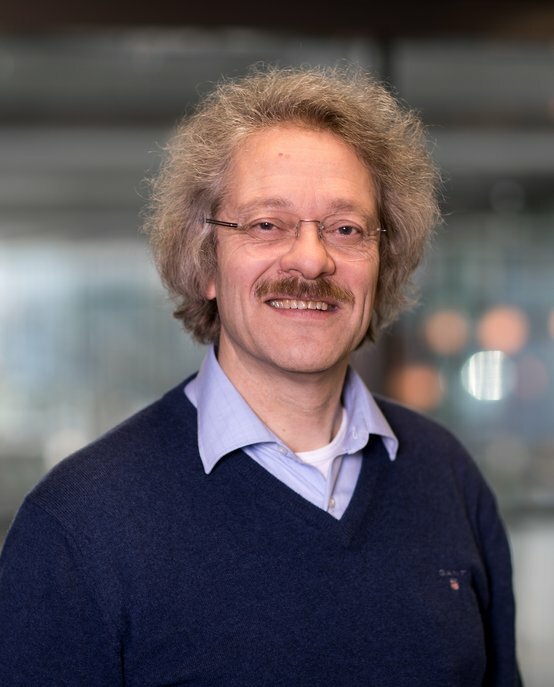 Leo van IJzendoorn is a core member of the Institute for Complex Molecular Systems at TU/e, where groups from different disciplines (chemistry, physics, biomedical engineering and mathematics) collaborate on multidisciplinary research topics.